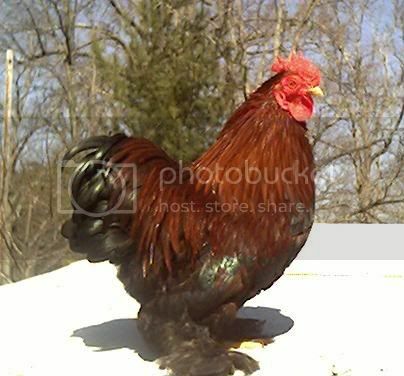 Bantams - Black OE, Red OE, BB Red OE, Splash OE, Crele OE, Barred Rock OE, White OE, Brown Red OE, Wheaten OE, Quail OE, Silver Duckwing OE, Blue OE, Spangled OE, Brassyback OE, Mottled OE, Red Pyle OE, Blue Brassyback OE, Blue Red OE, Silver and Gold Seabrights, Various Cochins and Japanese Bantams. Thank you for visiting my page at Angelfire. For any questions about our poultry please e-mail me. Please come back and visit again!